Francoise Jean was born on June 2,1953 in Anglais, located in the south of Haiti. At the age of nine she helped her family by drawing rural scenes on clothes for her mother to embroider. 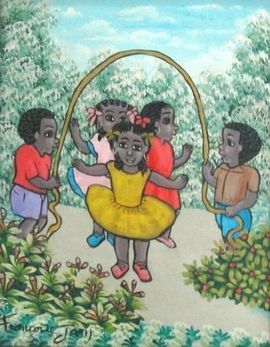 She moved to Port-au-Prince in 1967 and lived near noted artist Petion Savainches In 1968 she began working with him, painting pictures depicting children, refusing to paint adults. She was successful selling them to the local galleries. With the death of Petion Savain in 1973, she started working with painter Jean Richard Coachy. In 1978 she had her first show at the Gallery Marassa in Petion-ville. 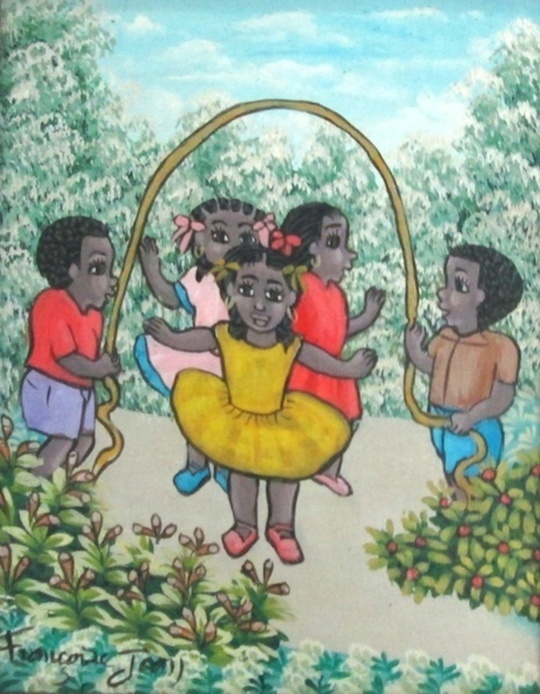 The same year she won a special prize in a competition organized by the Museum of Haitian Art at St. Pierre’s College. 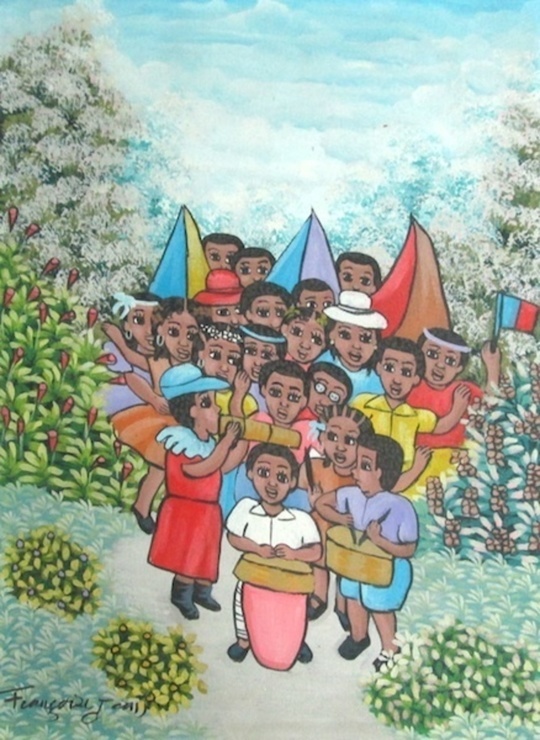 That painting was purchased to represent the International Year of Children by the FAO in Germany. 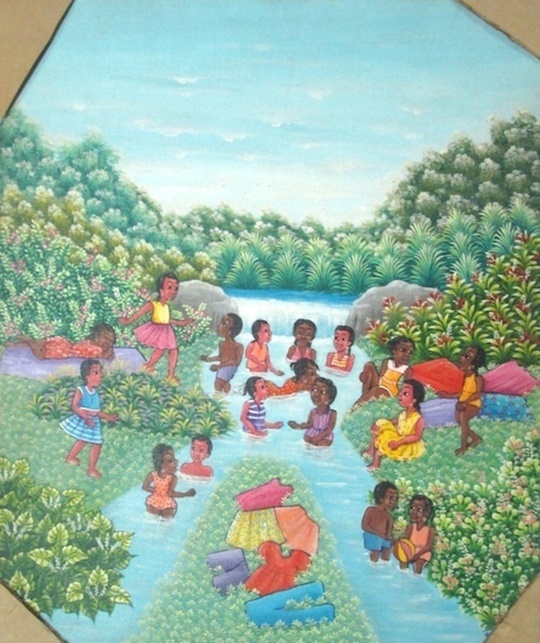 She has had exhibits in Haiti, Martinique and Guadaloupe. 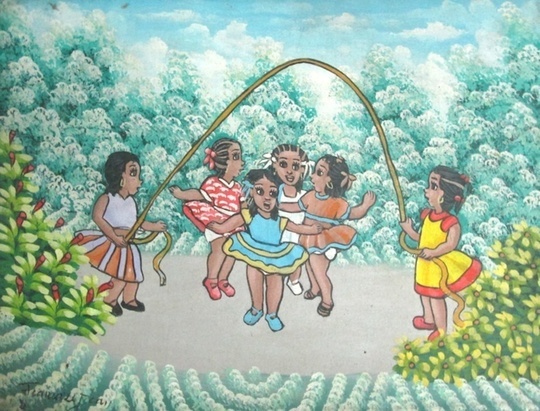 Her charming artwork also graces postcards and almanacs from UNICEF. All of her canvases depict children, her source of inspiration.